Our office is a completely digital (paperless) dental office. This means all x-rays and charting are made and recorded with the aid of the computer. 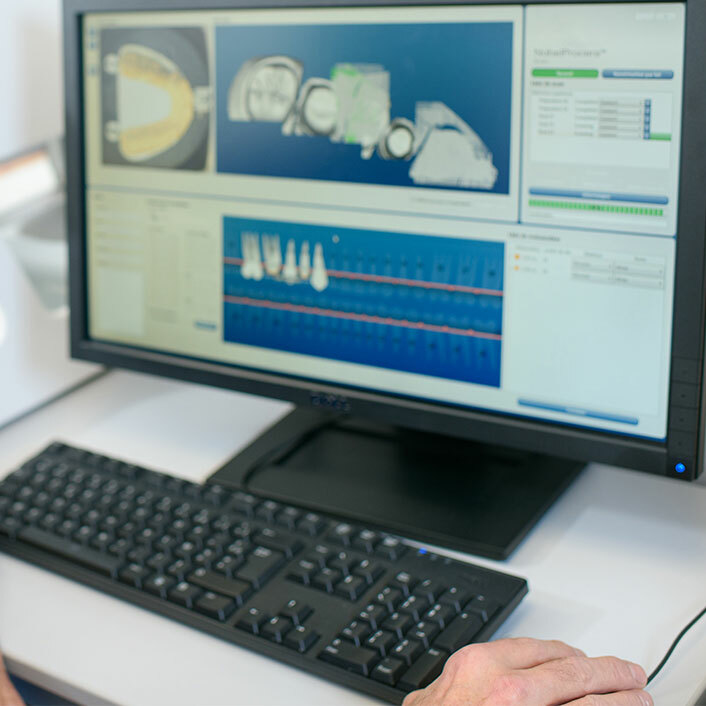 This technology allows us to maintain your dental records electronically, and cuts down the unnecessary paperwork used with traditional paper charting. Traditional paper charting is difficult to keep standardized from doctor to hygienist to assistant. Even handwriting differences and coding make the charts look different. The computer eliminates this problem by using consistent charting methods that are accurate and precise, making it easy to read your dental chart and see up-to-date information. Digital charting standardizes the charting process so it is clear, easy to understand, and enables us to provide on the most accurate and precise care to our patients. When needed, this method also allows us to quickly and securely share information with your other health care providers.